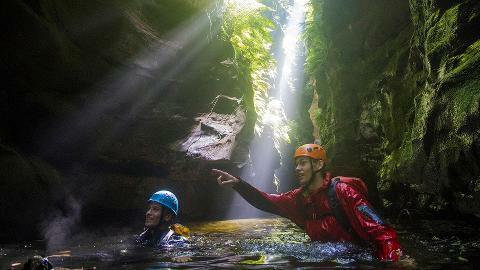 For many this canyon defines what Blue Mountains canyoning is all about. We start our day from Mt Wilson and descend down to the Wollangambe river. A moment to cool off our feet is followed by an arduous climb up the far side of the river, onto a long ridge that takes us to the top of our canyon- The entry walk takes us approximately 2 hours. 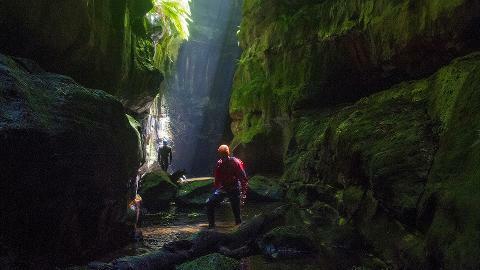 Our first abseil drops us down 15 meters in to Whungee Whengee canyon and the fun begins soon after. 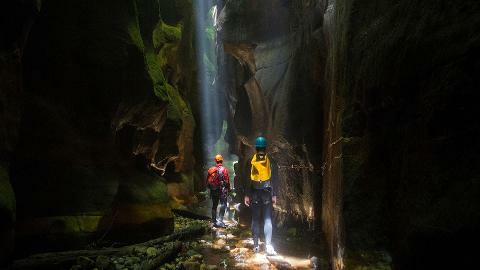 Throughout this canyon we will do 3 more abseils and lots of scrambling, squeezing and swimming through fantastic green sections that simply can not be rivaled. 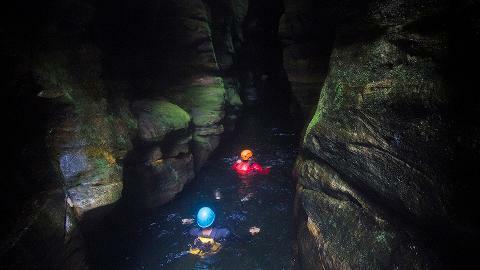 This canyon involves advanced obstacles which will require you to swim through dark tunnels, grovel through pitch black cave squeezes and swim underneath boulder obstacles (water level dependent). 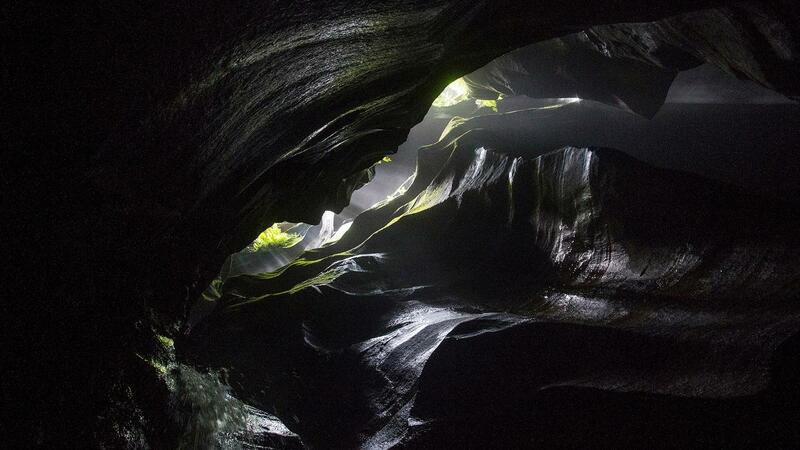 This trip is not suitable for the claustrophobic. The end of Whungee Whengee features the best section of slot canyon to be found near Mt Wilson, narrow, deep and extremely humbling. From here we proceed down the Wollangambe river. Lots of long swims, scrambles and boulder hopping take us to our exit point, and our 2 hour walk back to our vehicle. This day involves approximately 600m of elevation gain, through 3 hours of uphill hiking.